Synopsis: Tragedy . . . heartache . . . how much more can Tyler Montgomery and John Webster take? This missions trip, the “healing” one, has only added fresh layers of pain. Construction of an orphanage in Haiti’s northwest . . . yes. But a doomed rescue operation, human traffickers, human anomalies, extreme personal danger . . . risk of death? They hadn't signed up for those. About the Author: Born and raised on a farm near Brockville, Ontario, Mark Bierman's childhood consisted of chores, riding horses, snowmobile races across open fields, fishing trips to a local lake, and many other outdoor adventures. He was also an avid reader of both fiction and non. Transitioning towards adulthood also meant moving from the farm and into large urban areas that introduced this "country boy" to life in the big cities. After a short stint as a private investigator, he moved into the role of Correctional Officer, working at both Millhaven Institution and Kingston Penitentiary, until it closed. Review: A harrowing tale of love, loss, and redemption. Walk with Mark as he takes you on a twisting ride deep into the depths of humanity's depravity. This is not a light read, nor is it meant for those who wish to stay ignorant of the way things truly are in this world. 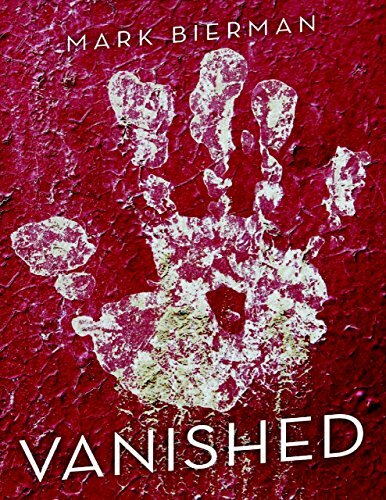 A beacon of hope in all too often tragic world, 'Vanished' isn't afraid to tackle what many in more privileged countries consider taboo, even today.